Add FPGA and Arduino Headers to the Raspberry Pi and Beaglebone Black! Are you working with a Raspberry Pi or Beaglebone Black and need more input/output for your next project? You can easily add more input/output by incorporating an entry level FPGA board such as the LOGi board. The LOGi board communicates with the Raspberry Pi and Beaglebone Black via I2C and SPI signals that allows you to add functions such as a quadrature encoder, camera and PWM (pulse width modulation). The LOGi board basically, lets you add all the things that are difficult to do on development platforms. The LOGi board is definitely, a more user friendly and easier solution to use than a System-On-A-Chip (SOC) such as the Altera and Xilinx SOC chips. Having used a SOC before, the Plug and Play LOGi board is a heck of alot easier to use than using FPGA with ARM Co-Processing! The only tool that you need to develop your own code on the LOGi-Board is the Xilinx Webpack ISE software and the software is free to download from Xilinx's main site. The LOGi-board features a Xilinx Spartan-6 LX9 thin quad flat package (TQFP), making it a highly functional and easy to use entry level FPGA board that also has a very low power consumption compared to most SOC's on the market. The LOGi extension board comes in two versions to fit the Raspberry Pi (LOGi-Pi) and Beaglebone Black (LOGi-Bone) open source development boards, and features pre-designed running applications and features a configuration flash, RAM memory, four PMOD connectors, two push buttons, two LEDs, one Arduino style connector and LVDS expansion port (the Spartan 6 LX9 FPGA on the LOGi boards is specified to support up to 950 Mbps using the LVDS IO). The LOGi-board comes with supporting software to load a bit-stream from the host development board with a single command. No need for a JTAG or bulky programming command. Simply open a terminal screen on the Raspberry Pi or Beaglebone Black and type: >> logi_loader file.bit to get your hardware architecture loaded and running on the LOGi-Board. 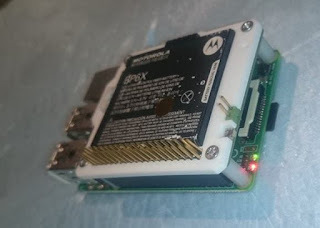 The LOGi FPGA board communicates with the Raspberry Pi via a SPI driver and sends and receives data via a flexible wishbone API with python and C wrappers. The Beaglebone requires a specific kernel module and device tree support files to permit the LOGi-bone to interface through the GPMC pins, though these files are available on Valent F(x) github repository. There is no denying the power of a System On A Chip (SOC) with dual and Quad-Core ARM CPU, but SOC's do not have the community support the ARM/Linux community does. Also, there are a wide variety of libraries, applications and drivers already developed for the Raspberry Pi and Beaglebone Black, which makes the LOGi board an unrivaled solution when compared to any SOC. 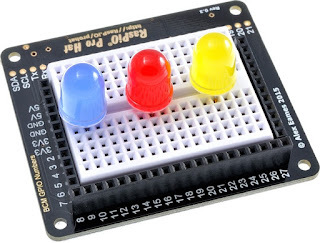 A Raspberry Pi Add-on With Sequential GPIO Ports For Easy Tinkering! Take Your Raspberry Pi Off-grid With Solar Power & Portable Battery!